I saw this Crock Pot Lunch Crock on Pinterest and it sounded like a great idea! 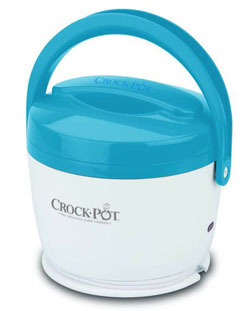 A little crock pot you could put your lunch in and plug in at work to heat up your lunch? I can't find anything online about it though. 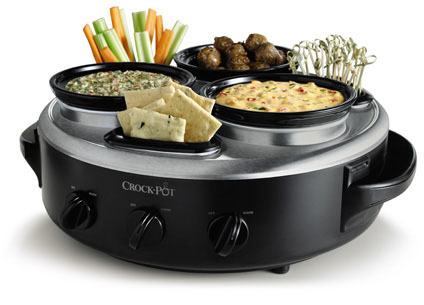 While I was on the Crock Pot website I found some other cool products. Like this Triple Dipper Heater. AND photo customizable Crock Pots! This makes me want to get out my Crock Pot and make winter-ish food. Stews and overnight oatmeal. Your hunt for the lunch crock pot makes me wonder if people occasionally put fake photoshopped products on Pinterest just to gaslight the rest of us. If they don't, they probably should. Corporations could use that as inspiration for new product development. I saw the lunch crock pot at Walmart but I have not seen it anywhere else. I just read online that it is indeed a Walmart in-store exclusive. I now must have it. Hope they're not sold out! OMG! I can't believe you found it Keekers! Looks pretty cool! Thanks for mentioning it-- I might have to get one!